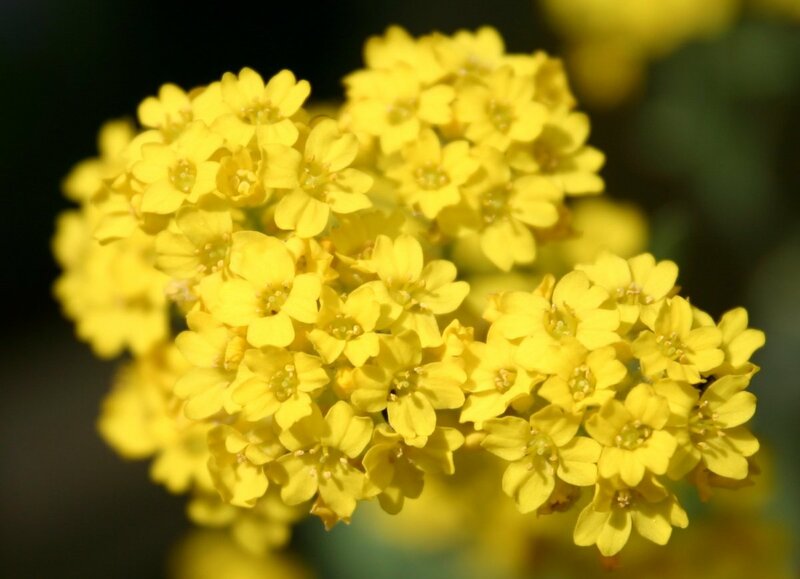 For an easy to grow perennial, and an alyssum by any other name, Yellow Alyssum is but one name for this delightful plant but other names include Aurinia saxatilis or Aurinia saxitilis. The older classification of this flower is Alyssum saxatile. Still another classification has it listed as Aurinia saxatilis Compacta or more common names are Basket-of-Gold, Gold-dust and Dwarf Goldentuft. Still another name for this beautiful little perennial is madwort. Whew - what a lot of names - but by whatever name you call it, this little flower packs a huge punch. Years ago, I started experimenting here in Central Oregon with different perennials because my husband wanted things that came back every year. Although I still intermix as many annuals as I can sneak past him into the pots and gardens, my mainstay in all of our gardens (while I can keep them away from thundering malamute feet) is the perennial. This particular little perennial is my favorite simply because it is so worry free and wonderful in so many ways, as you will see below. 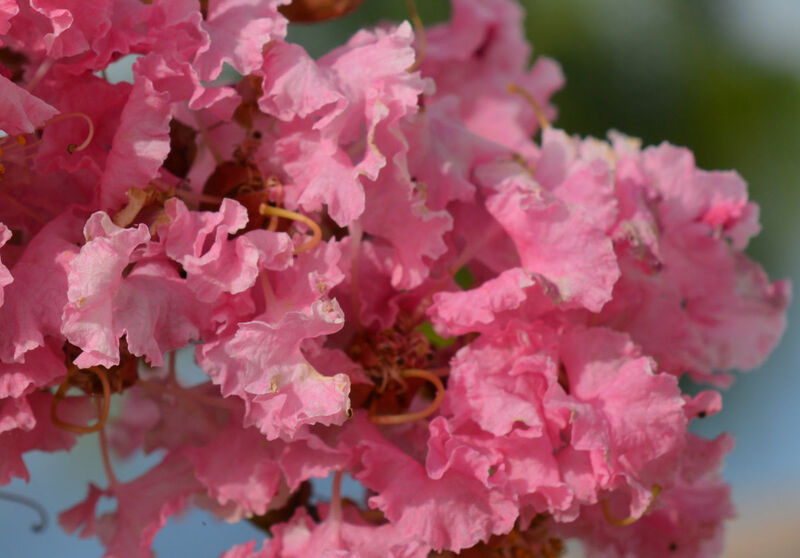 This is one plant I don’t think you can ever go wrong with – or kill! It is said to be hardy and grows well in zones 3-7 but can also be grown in zones 8-10 though may not grow as long in those zones. In Central Oregon, this particular flower blooms in spring and then blooms again although not as plushly in late summer. In the spring when it blooms, the hills are alive with yellow color (and the sound of music). 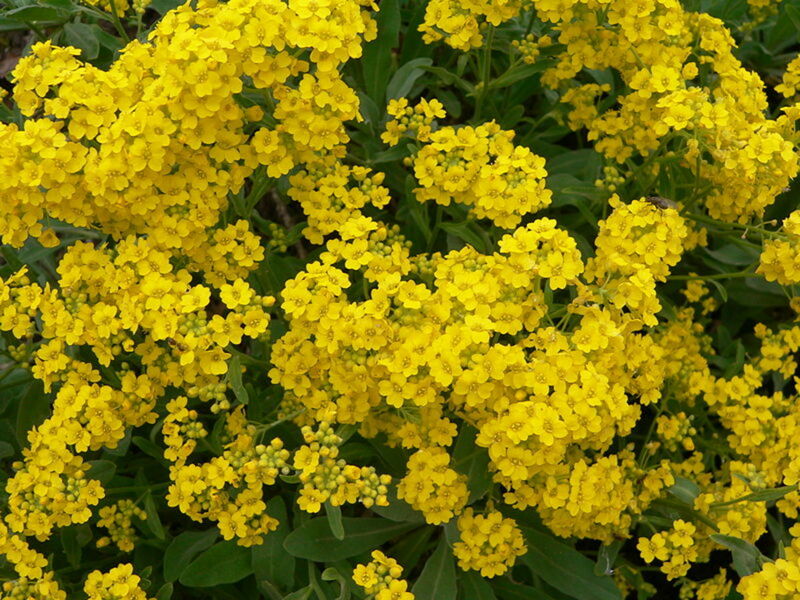 This perennial is good for borders as it is a rather low-lying perennial and is a cheery yellow with scads of blooms on its short little plant base. 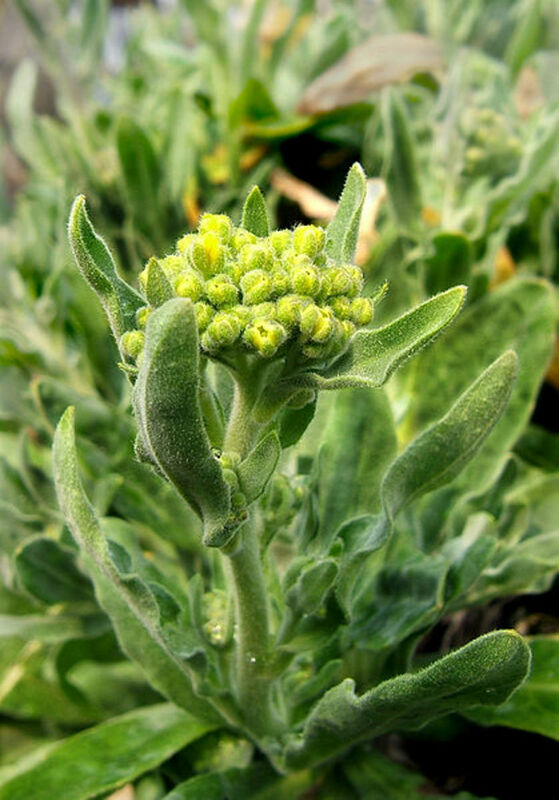 It is a plant that is conducive to draping down over rockeries as well and is an excellent plant to put on a slope. The plant itself grows to about 6-12 inches in height and should be spaced about 9-12 inches apart. However, they can spread about 18 inches so they can make a beautiful ground cover though not tight ground cover. In other words, if you want some height - this is your flower! The most magical characteristic of all is that this flower reseeds itself every year. After the flowers have finished blooming and the seeds become dry on the plant, I merely go out and shake them a bit and the wind does the rest. Every year, we have more and more spread of this beautiful little plant as it just simply multiplies all by itself! This plant is not picky about soil either – it can grow in the most packed-down dirt sometimes I have ever seen and still thrive. It is also drought resistant - so if you happen to forget to water for a bit, it won’t die on you right away. This plant does prefer sun and here in Central Oregon we get our fair share especially in spring and summer, even into fall. It thrives on well-drained but poor soil. What a bonus! 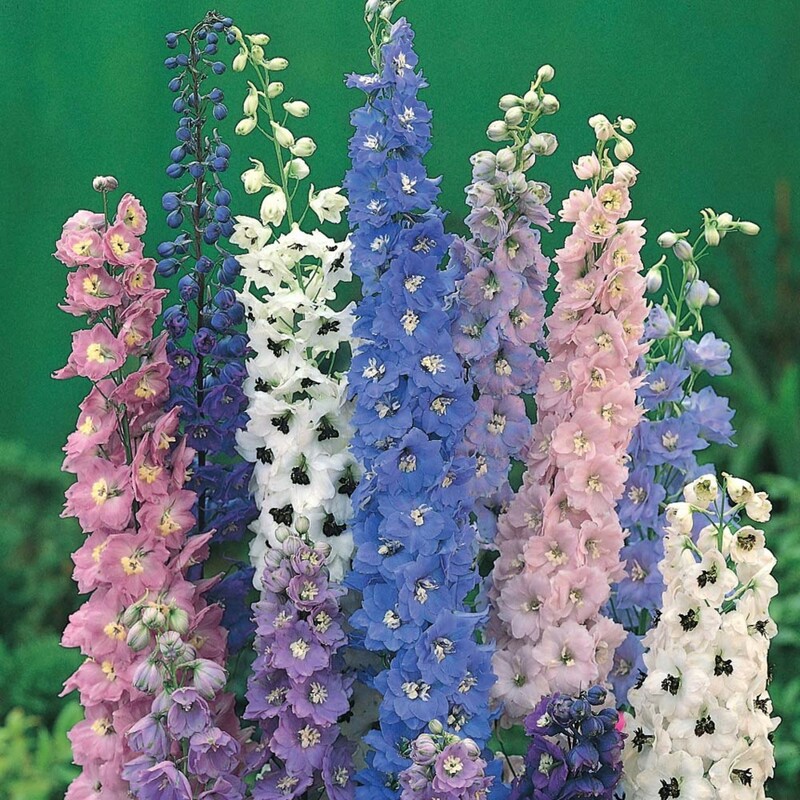 We usually buy them as small starts at the nursery and have never lost one of these plants. Every year, the plants that survive malamutehood become fuller and fuller and then multiply rapidly so that there is a virtual blanket of bright yellow on our hills. They do well around a tree or in pots as well. 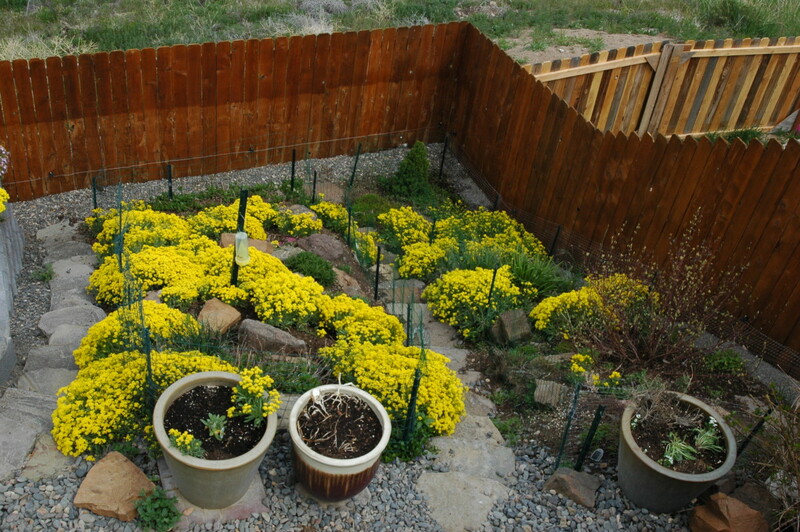 To properly care for the yellow alyssum plant, when the blooms are faded (and you have shaken loose any seeds if you wish), simply cut them back to about 1/3 the plant’s size. This will promote re-bloom again in a few months. If they also start to become too shaggy, cut them back by about 1/3 and they will resurface in their healthy state. 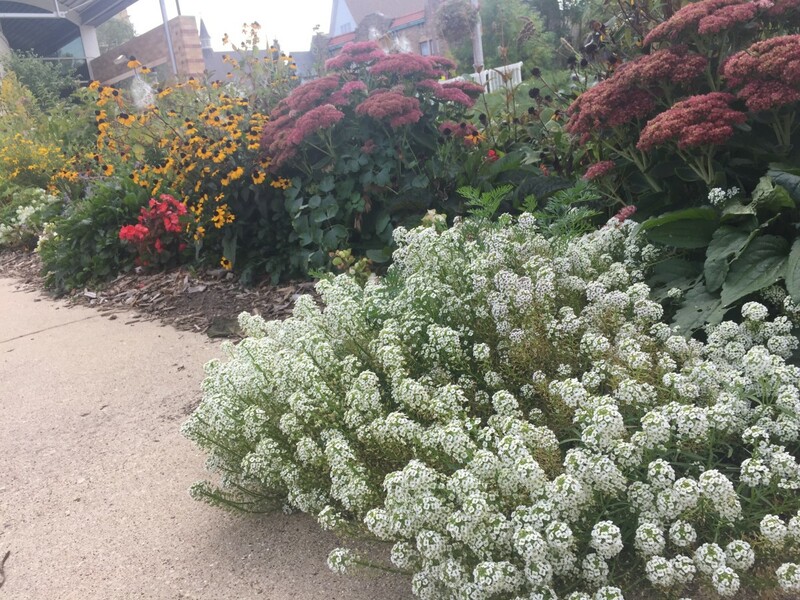 I think no matter where you plant perennial alyssum, as long as it is sunny, you will have a plant you will love as it is hardy, it is super easy to grow, and it is beautiful to look at with its bright and perky color. Another variation is the Alyssum idaeum which is a bit of a greener tinge in color but still a great choice as well. Mixing these flowers in with different colors and varieties of phlox works really well or candytuft or the common named wall flowers. 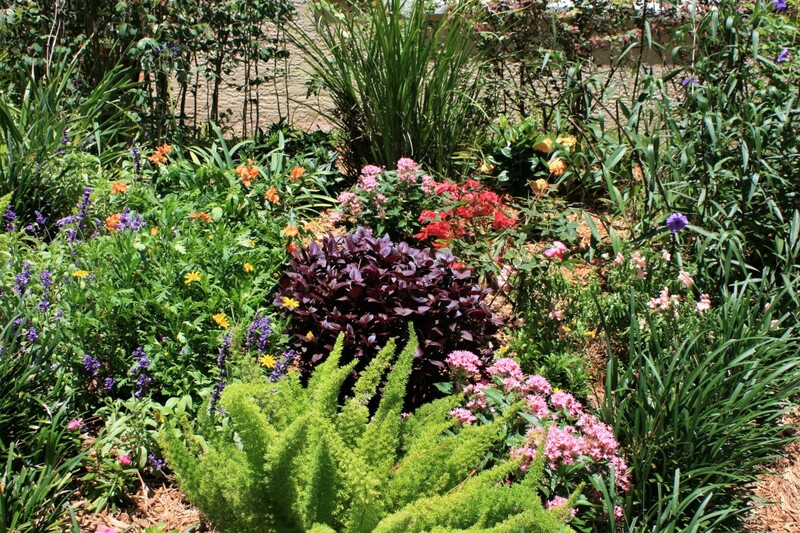 These are all plants that seem to thrive well on slopes and do well with little to no care. Wildlife Friendly: Bees, butterflies and birds love them. Seed collecting: You can let the seeds dry on the plants, remove and pack away for replanting. 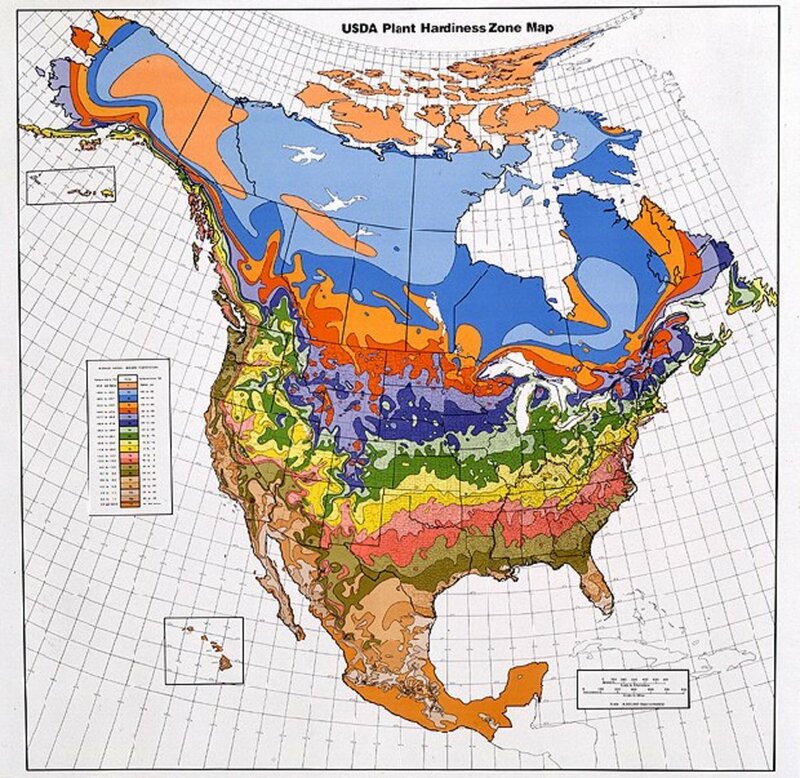 No problem - according to this little chart, you can translate the USDA hardiness zones by finding out how low your area's temperatures can reach. Use the chart below to find your corresponding zone and plant accordingly. If you purchase plants from a local nursery, you are probably getting something that is locally grown and hardy to your area. However, if you buy plants for instance at Lowe’s or Home Depot, or from a large chain store, you should be aware that sometimes the plants that these stores receive are from other parts of the country. In our case, here in Central Oregon, we receive thousands of plants but they are from the other side of the mountains. What is labeled a perennial from Portland for instance we have found does not survive here in Central Oregon because it was not hardy to lower temperatures. As a word of caution, just make sure you read the labels or ask if you buy plants at a store. Make sure the folks can guarantee where the plants came from and their hardiness. A plant can be labeled a perennial, yet it all has to do with where it originated and where it will actually be planted. The two can be quite different climates and in that case, the plants may not survive after the winter. Case in point: One year we bought an entire flat or two of coreopsis which were $2.50 per plant. Not one came back the next year because they were not hardy to our temperatures. It turns out they were from the west side of the mountain greenhouses. We could not get a refund because we did not save the receipt or the containers that they came in so we had to start all over. We finally did find coreopsis that was grown HERE and it survived! Have just ordered my first lot here in Australia, am hoping for great things. Am looking forward to NOT killing this plant! Thanks for your enthusiasm guys! Thanks Katie - right now, my entire backyard slopes are alive with the beautiful stuff - I adore it - and it seems to be Griffin proof thus far! Yes - this is such a great plant no matter where you live and about now, we all need a breath of spring - although no one believes me, but I'm SO missing the snow! What is that about? This is so beautiful. I live here in snowy NYC - but the photos gives me much to look forward to - and I need that right about now. Thanks a million! Thanks, Faye - love flowers - almost as much as cooking! Thanks Suziecat - as long as they get any sun at all, they will probably do really well. They are my absolutely easiest to grow perennial - although Central Oregon makes me the brown thumb gardener look pretty good with anything! Thanks - and I know - it is great to get a head start! 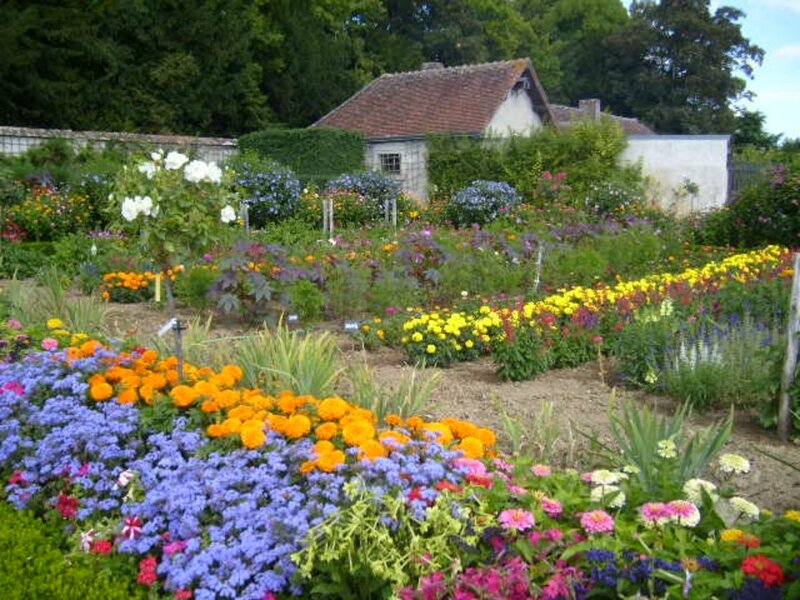 Nice - I will plant some this year. 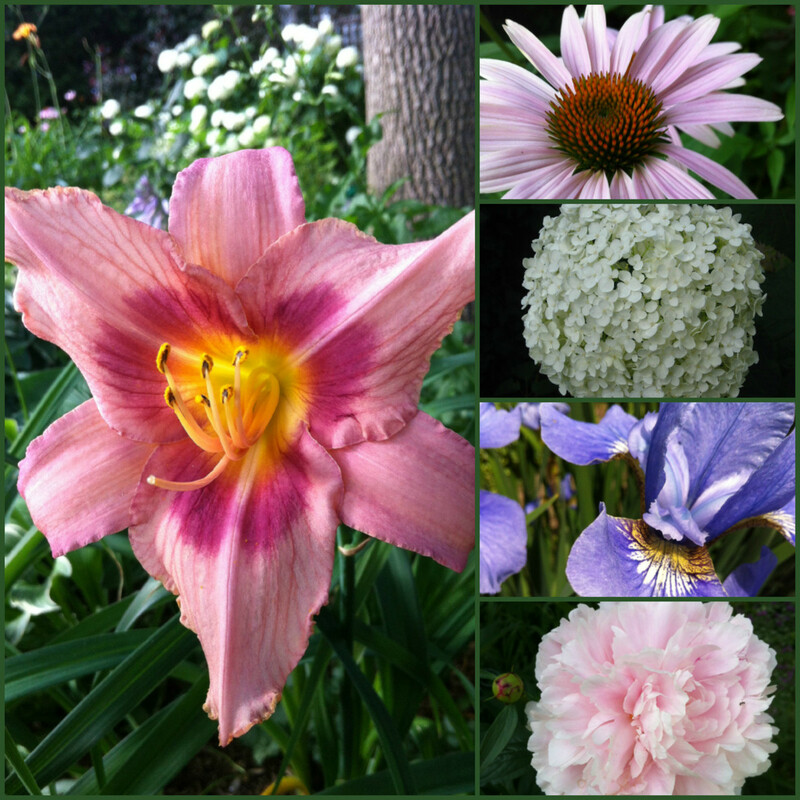 I love trying out new flowers though I live in the woods and have to be careful where I plant.